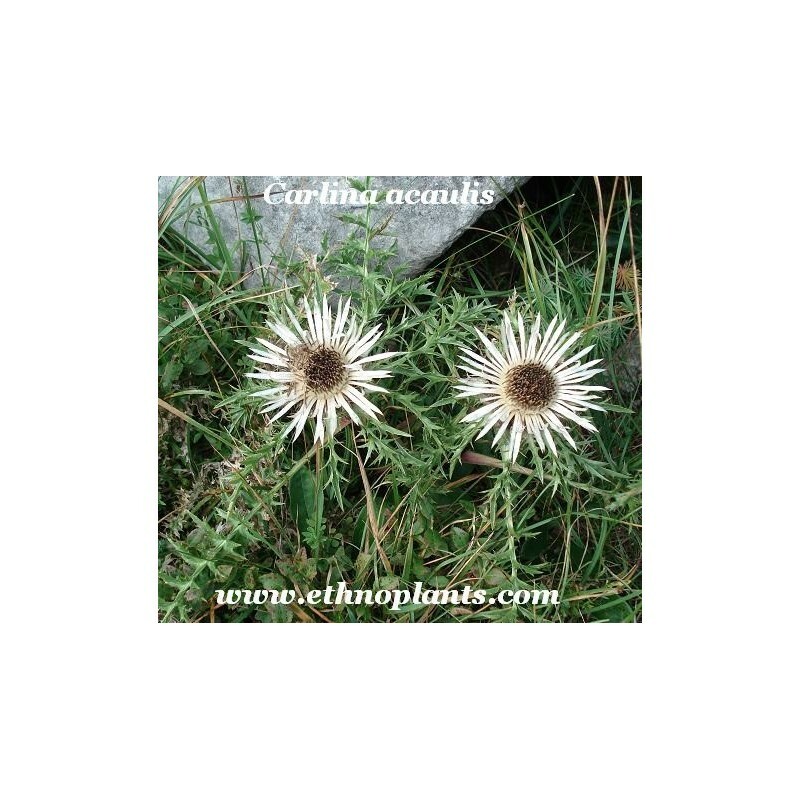 Carlina acaulis, Stemless carline thistle, Dwarf carline thistle, or Silver thistle is a perennial dicotyledonous flowering plant in the family Asteraceae. 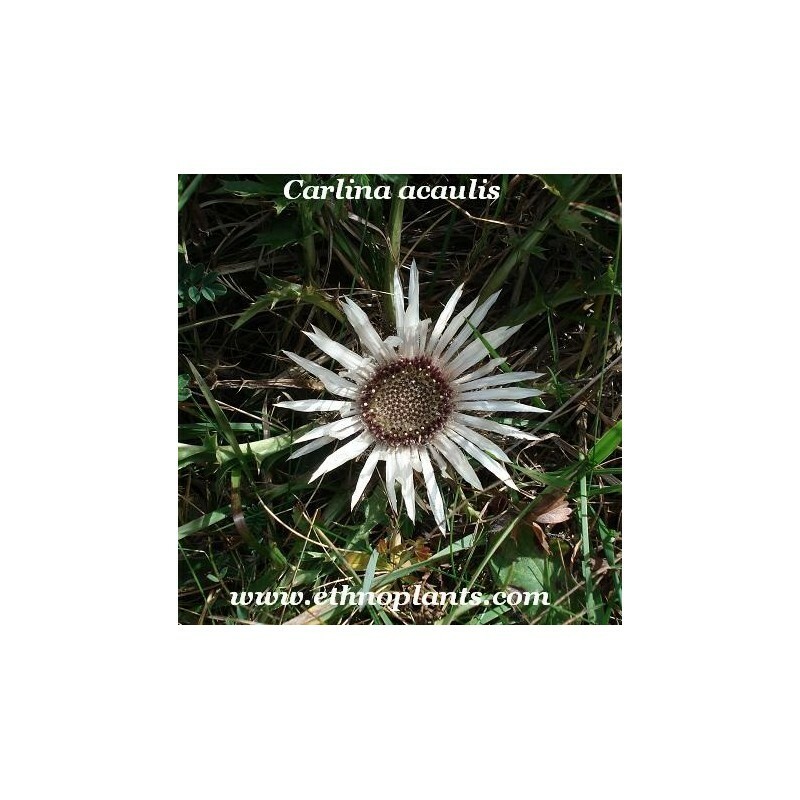 This plant is native to alpine regions of central and southern Europe. The common names are descriptive of the manner that its flower head rests directly upon a basal leaf rosette. The spiny, pinnatilobate leaves grow in a basal rosette approximately 20 cm in diameter. The flowers are produced in a large (up to 10 cm) flowerhead of silvery-white ray florets around a central disc. 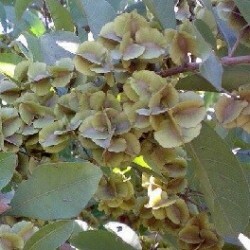 The disc florets are tubular and yellow-brown in colour. The head closes in wet weather, a phenomenon which is held to presage forthcoming rain. The flowering time is between August and September. 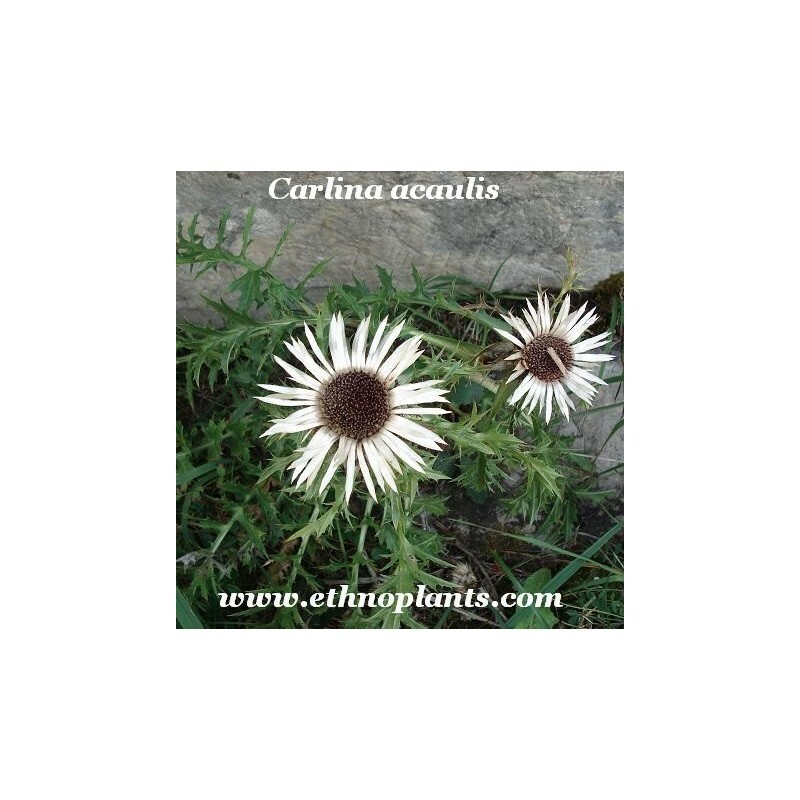 The rhizome contains a number of essential oils, in particular the antibacterial carlina oxide. The root was formerly employed in herbal medicine as a diuretic and cold remedy. La stratification doit être d'au moins 3 mois à -10*c.